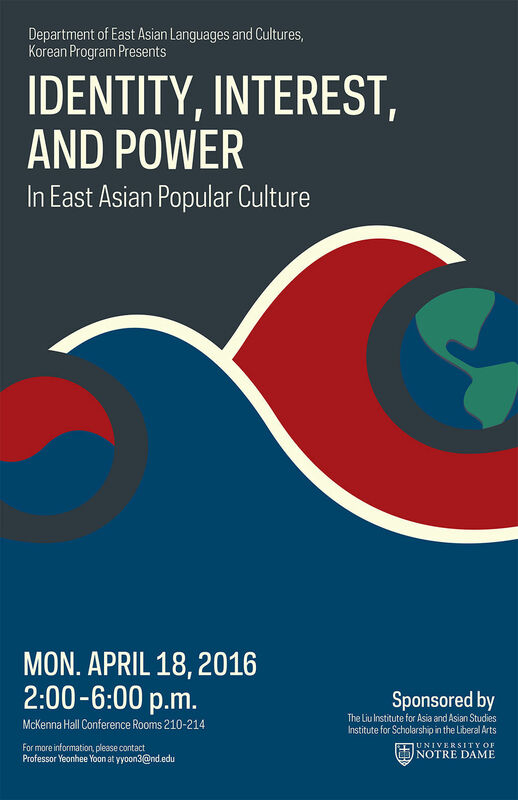 “Identity, Interest, and Power in East Asian Popular Culture” seeks to exchange and enhance our understanding of East Asian popular culture in an innovative and interdisciplinary framework. In recent years, there has been an explosion of global interest in the popular culture of East Asia. Although it has proved incredibly fascinating, it remains an underdeveloped area in interdisciplinary research. This conference undertakes an inventory of diverse discourses on East Asian pop culture in terms of identity, interest, and power. Our last conference in April, 2014 addressed the Korean Wave beyond nationality: Conflicts over the Globalization of Korean Popular Culture. The primary objective of this year’s conference is to explore to what extent we can challenge or extend existing debates around ideas of popular culture and how we might situate research on East Asian popular culture within the rapidly transforming political, economic, and cultural contexts.